Independent historian and chief authority on the Indian Constitution, Granville Austin passed away this afternoon in Washington, D.C.
Austin studied American literature at Dartmouth College, after which he obtained his directorate in Indian history from Oxford. He describes him as an ‘independent scholar’ having been a fellow or consultant with entities as diverse as the U.S. State Department and the Rajiv Gandhi Foundation. Austin’s rendezvous with India began more than fifty years ago, when he realized that archival research in India was stonewalled by non-cooperating bureaucrats. At that time, Nehru reportedly interceded on his behalf. Austin then moved with his family to India in 1960s, interviewing surviving members of the Constituent Assembly. He even managed to persuade President Rajendra Prasad to share his ‘most valuable files’ on the Assembly’s deliberations. 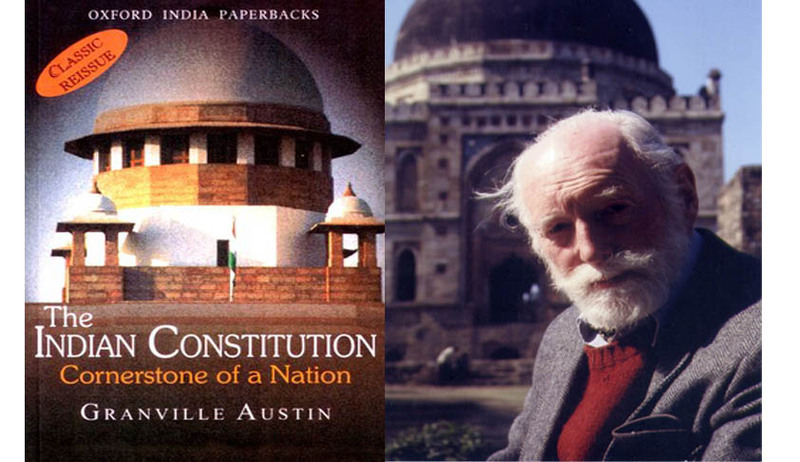 Austin authored two seminal political histories of the constitution of India, The Indian Constitution: Cornerstone of a Nation and Working a Democratic Constitution: The Indian Experience. His work is deeply applauded among jurists throughout the world. Judith Brown, Beit Professor of Commonwealth History, Oxford University, displayed appreciation for the second book and said, "Another monumental work of reference and subtle interpretation to follow Austin's classic work on the making of the Indian Constitution published in the 1960s. Here he traces the working of the constitution in the turmoil of Indian political life. But this is no dry 'constitutional history.' We are shown how examination of the issues and strains surrounding the constitution and its role in the Indian polity are a window into the nation's public life, particularly in relation to democratic stability, national integrity, and the stated goals of socio-economic change. A 'must' for libraries, and for serious students of the subcontinent." Even Senior Advocate at the Supreme Court, Fali Nariman, valued his work, stating, "Working a Democratic Constitution offers an intense critical insight into four decades of India's constitutional history. Superbly written with a buoyant empathy, it is a testament of hope, not of despair. With intimate knowledge gained by living in India for long periods, and talking to people who have seen it all happen, the author unfolds the triumphs and strains of working a truly democratic Constitution. The richly personalized account flows effortlessly. It pulls no punches, and the gripping narrative tempts the reader on, from one chapter to the next. It is a truly inspiring work." He was awarded the fourth highest civilian honor of the Republic of India, Padma Shri, in 2011, for his path breaking critique on the framing and working of the Indian Constitution. As a chronicler of ensuing constitutional developments, he has taught us a great deal about India’s post-independence rulers, their choices and disappointments. His work has enlightened many and will continue to do so. May his soul rest in peace.